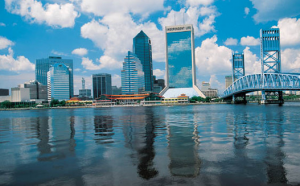 Last week, the U.S. Environmental Protection Agency (EPA) released its seventh-annual list of the U.S. metropolitan areas with the most Energy Star certified buildings in 2014 and the city of Jacksonville ranks 10th among Mid-Size Cities nationally. The EPA’s Energy Star Top Cities list shows how cities across America, with help from Energy Star, are embracing energy efficiency as an effective way to save money and reduce greenhouse gas emissions that fuel climate change.Energy Star buildings and plants are America’s energy all-stars – they save more, use less and help reduce greenhouse gas emissions. "Cities across the country are saving billions every year through partnering with our Energy Star program and increasing energy efficiency, while doing their part to reduce harmful greenhouse gas emissions that fuel climate change,” said EPA Administrator Gina McCarthy. “This is the type of leadership we need from city leaders and building owners who are demonstrating that increasing energy efficiency strengthens local economies, reduces greenhouse gas emissions, and helps preserve a healthy planet for future generations.” More than 25,000 buildings across America have earned EPA’s Energy Star certification since 1999. The buildings have saved nearly $3.4 billion on utility bills and prevented greenhouse gas emissions equal to the emissions from the annual electricity use of nearly 2.4 million homes. Energy use in commercial buildings accounts for 17 percent of U.S. greenhouse gas emissions at a cost of more than $100 billion per year. Energy Star certified buildings are verified to perform better than 75 percent of similar buildings nationwide, and they use an average of 35 percent less energy and are responsible for 35 percent fewer emissions than typical buildings. Many common building types can earn the Energy Star, including office buildings, K-12 schools, hotels, and retail stores. The program starts with tools to help building owners or managers understand how their buildings are currently performing and what to aim for in terms of improvements. A typical upgrade includes the following: tuning up the building systems; reducing lighting loads; reducing supplemental loads (e.g., equipment, wasteful behaviors, leaky windows, poor insulation, etc. ); improving air distribution systems; and making upgrades to heating and cooling equipment. The stages, when followed in order, account for the interactions between different building systems. For example, replacing heat-producing incandescent bulbs with cool CFLs or LEDs will mean that a building’s air conditioner won’t have to work as hard in the summer months, so a building may be able to downsize its cooling system based on the new lighting’s heat output. Another benefit of the five-stage approach is that it ensures the lowest-cost measures are tackled first. As organizations progress through the five stages, they can roll their cost savings into larger and larger investments, culminating in the last, most expensive stage. By the time organizations start making upgrades to heating and cooling equipment, they typically have already amassed substantial cost savings from previous lower-cost improvements. To create the annual top cities list, EPA tallies the number of Energy Star certified buildings for the end of the previous year within each metropolitan area, as defined by the U.S. Census. These areas include the city itself as well as surrounding towns and suburbs. Energy Star is the simple choice for energy efficiency. For more than 20 years, people across America have looked to EPA’s Energy Star program for guidance on how to save energy, save money, and protect the environment. Behind each blue label is a product, building, or home that is independently certified to use less energy and cause fewer of the emissions that contribute to climate change. Today, Energy Star is the most widely recognized symbol for energy efficiency in the world, helping families and businesses save $300 billion on utility bills, while reducing greenhouse gas emissions by two billion metric tons since 1992. Join the millions who are already making a difference at energystar.gov.